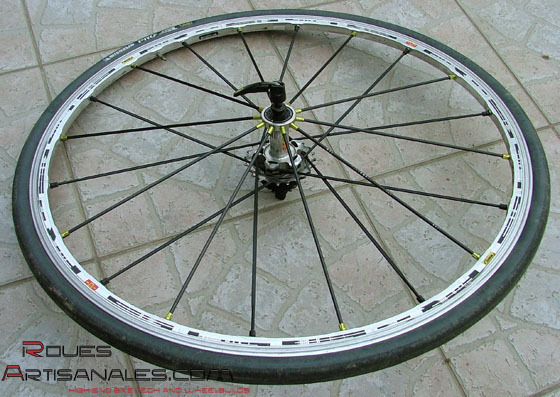 The Mavic R-SYS wheelset has received a lot of media attention since their release. The well received TraComp system delivers weight saving and stiffness thanks to two critical points. First, the very stiff carbon spokes are under very low tensioned and allow light rims. So 7,000km later, what do we think about these wheels in terms of reliability and ride quality? improvement. Listen up Mavic R&D! 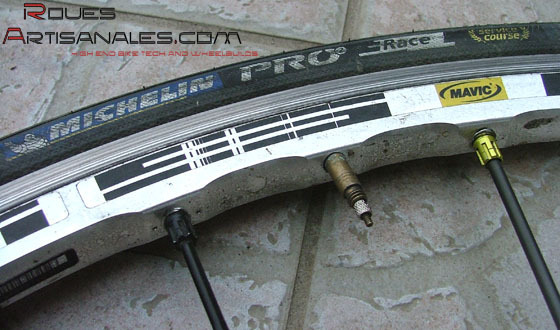 some quite light tires (Michelin Pro 2 Race) and Michelin latex tubes. it seems more recent production runs do not suffer this problem. Excellent reliability, we didn’t have a single problem in 7,000km. The bearings were tight to start with but are now pretty smooth. The braking performance is still as good. The machined braking tracks work very well! 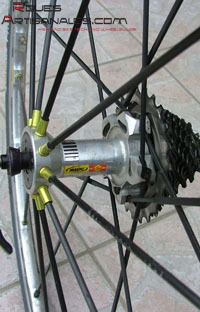 The light silver glossy « engraved » letters on one carbon spoke of each wheel tend to disappear. races/rides when we expect a lot of kilometers at pace before attacking in the final uphill. Anyway, do not use them during real high speed rides. You will be slowed down too much! What would need to be improved ?